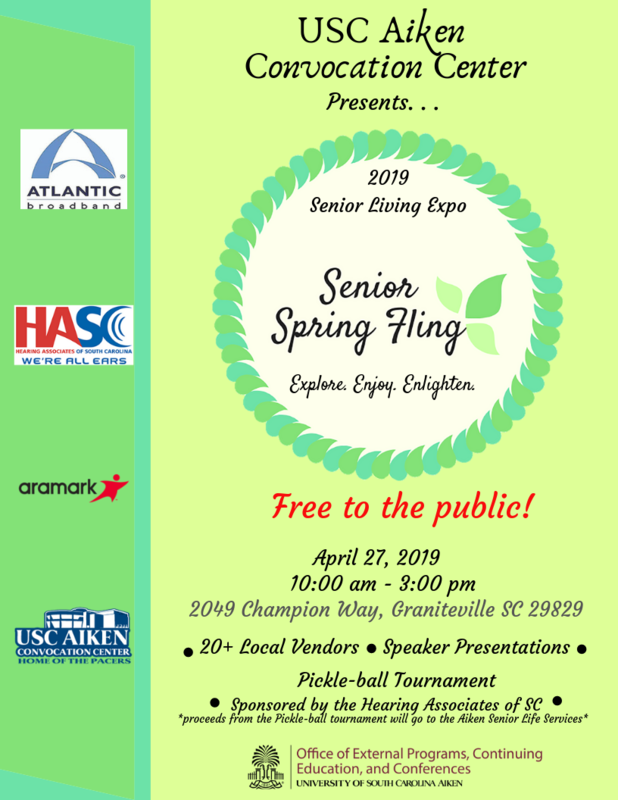 The University of South Carolina - Aiken will host a round robin on April 27th as a part of their Senior Expo. There will be three divisions - 3.0, 3.5, and 4.0 and up - with a maximum of 10 teams per division. Teams will be mixed doubles, and you must sign up with a partner. There will be an open court available all day for anyone who drops by to try playing pickleball. To sign up for the round robin, go to https://campscui.active.com/orgs/UniversityofSouthCarolinaAiken1#/selectSessions/2618610. The cost is $20.00 per team. You only need to sign up once per team. If you don’t have a partner, you can put your name on the list at https://www.signupgenius.com/go/20f0a4aada929a7fa7-court2. THIS IS NOT A SIGN-UP FOR THE ROUND ROBIN. Itt is only a list of people looking for partners. If you see somene you want to play with on that list, you can e-mail that person directly. DO NOT ENTER WITH THE PERSON UNTIL YOU HAVE COMMUNICATED WITH THEM and gotten their consent. Each team will play every other team in the division, for a total of 9 games. Winners will be determined by the most games won, with most points won as a tiebreaker. All games will be timed at 11 minutes with four minutes between games. Click on "read more" to see player list as of 4/19/2019.